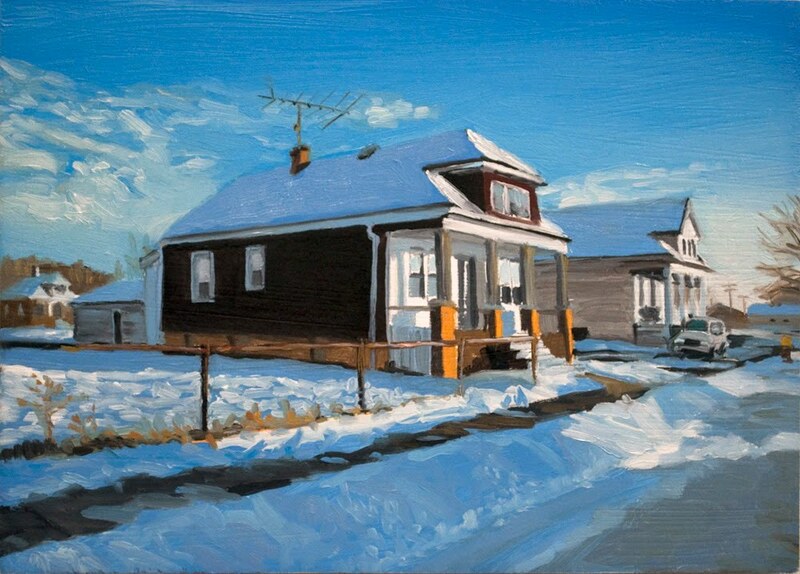 Todays painting is another from this neighborhood near Hamtramck. I wanted to paint these snowy rooftops, that was my main inspiration, but I loved the chilliness and the color of the snow in morning and how these houses seemed to be hibernating. Beautiful paintings, Andy! Glad to have found your blog. Thanks a lot, I'm glad you found it too!